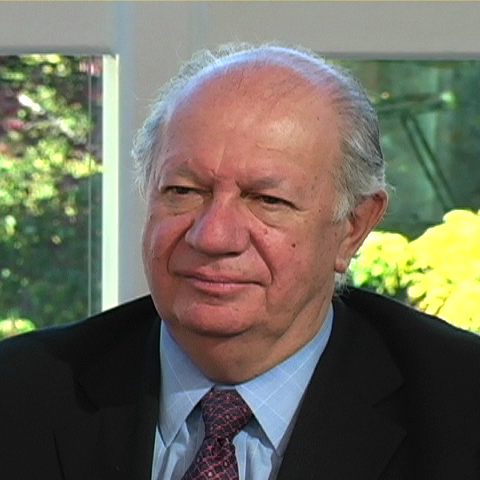 Ricardo Lagos Escobar is professor-at-large at Brown University. Widely regarded as one of Latin America’s most important political leaders, Lagos served as president of Chile from 2000-2006. During his term, he was known for aggressively pursuing free-trade agreements, improving healthcare and education legislation, and addressing the crimes of Augusto Pinochet’s military regime. After leaving office, Lagos founded the Fundación Democracia y Desarrollo (Foundation for Democracy and Development) in 2006 and currently serves as its president. He also heads the Club of Madrid, an organization of former presidents whose mission is to promote democracy, and is a UN special envoy for climate change. Lagos earned a law degree from the University of Chile and then attended Duke University, where he received a PhD in economics. He returned to Chile and served as director of the University of Chile’s School of Political and Administrative Sciences and was subsequently appointed secretary general of the Latin American Faculty of Social Sciences. Prior to the military coup against President Salvador Allende, Lagos had been nominated Chilean ambassador to the Soviet Union but when Allende was overthrown by General Augusto Pinochet in 1973, Lagos was never confirmed. Following the coup, Lagos lived in the United States and Argentina. He served as consultant and economist in UNESCO and at the International Labor Organization. In 1978, he returned to Chile, where he became president of the Democratic Alliance, a coalition of parties opposed to Pinochet. In 1987, Lagos founded the Partido por la Democracia (Party for Democracy). He served as minister of education under the government of President Patricio Aylwin (1990-1994) and as minister of public works under President Eduardo Frei (1994-2000). Elected as president in January 2000, Lagos became the first socialist to hold the office since Allende. How do international agreements on climate change affect Chile? What are the biggest environmental challenges in Chile today? What are the three biggest challenges facing Chile today? What is your perspective on the priorities and structure of the United Nations? Why should students learn about human rights? What was the significance of the arrest and prosecution of Pinochet for Chile? Why was the arrest of Pinochet a topic of international controversy? Who was Augusto Pinochet and why is he an important figure in Chilean history? Why should U.S. students care about politics? What is your perspective on the U.S. “War on Terror”?